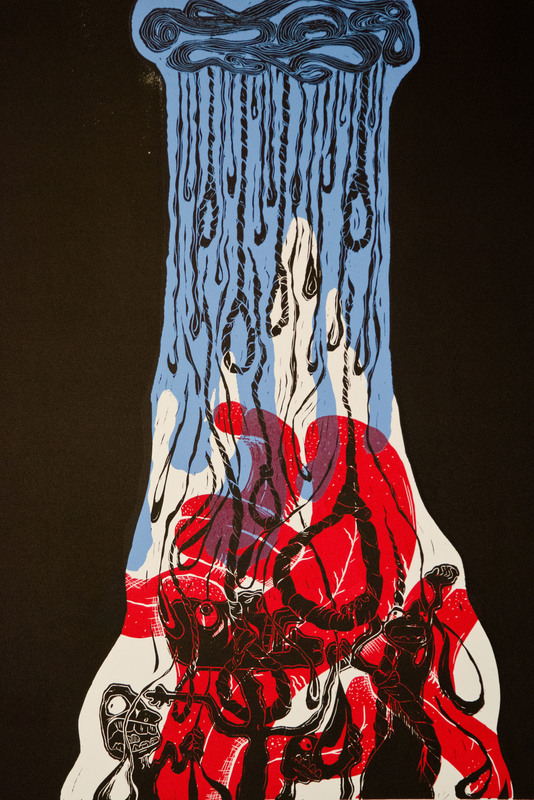 Lyz Luidens is a Detroit-based printmaker and letterpress artist whose work varies in scale and technique. She works in etchings, linoleum, woodblock relief, lithography, and letterpress, allowing various technical processes to guide the direction of her printing. Her work varies in content but has largely to do with the ways that humans form their identities as they relate to other people, their environments, and their own physical, mental, and emotional existence. To view more of Lyz's work, please click here.